There certainly is a great deal of evidence that your diet can influence the development of certain types of cancers. The previous research has consistently shown that diets containing higher amounts of fruits, vegetables, whole grains, soy, and legumes are associated with lower rates of cancer throughout the globe. 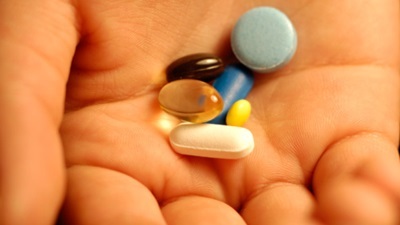 What about the use of concentrated nutritional supplements and the risk of cancer growth? Does it make sense to take additional nutrients if you would like to decrease your cancer risk? Here are a few suggestions. Capsules containing the omega-3 family of fatty acids may be able to help decrease the risk of certain cancers by the direct effects these fats have upon the inflammatory response. Fish oil capsules containing a high-potency formula of omega-3 fats can reduce inflammation by decreasing the secretion of pro-inflammatory chemicals. These chemicals can increase the degree of inflammation in certain areas of the body such as the breast, lung, and gastro-intestinal tract where abnormal cellular growth can be encouraged. Fish oil capsules containing omega-3 fats have also been used to improve the functional capacity and quality of life in patients with various forms of lung cancer undergoing treatment. The recommended dosage is 1,000 mg of high-potency omega-3 fish oil taken three times per day with food. The research regarding the benefits of taking vitamins C, E, beta carotene, and B-vitamins and the risk of developing various forms of cancer have been mixed. However, some research has indicated that the regular consumption of multivitamins can significantly decrease the risk of cancer. A 2012 study on male physicians above the age of 50 years indicated that in the 1,312 subjects who had a previous history of cancer, multivitamin use significantly decreased their risk of developing cancer of any type. I recommend taking a product with a full-spectrum of vitamins in the recommended daily dosages without the addition of iron. The research regarding the use of this very important vitamin has been quite interesting over the last decade. Previous studies have shown that increasing blood levels of vitamin D can decrease the growth of various cancer lines and lead to an overall reduced rate of cancers of the gastro-intestinal tract, lung, and prostate. The newest studies seem to indicate that vitamin D can exert its influence upon pro-inflammatory chemicals responsible for increasing the inflammatory response implicated in cancer growth. Vitamin D is a vitamin which is very hard to get in adequate amounts from our diet alone, so supplementation can be a very useful way to practice health prevention. Certainly, the strongest research has indicated a relationship between the intake of vitamin D and the risk of developing colorectal cancer. Vitamin D has been shown to decrease the risk of developing this common form of cancer through its direct effects upon cell growth, levels of inflammation, and genetic influences. The recommended dosage of vitamin D to consume is 1,000-2,000 IU per day with food. van der Meij, B.S., et al., “Oral nutritional supplements containing n-3 polyunsaturated fatty acids affect quality of life and functional status in lung cancer patients during multimodality treatment: an RCT,” Eur J Clin Nutr. March 2012; 66(3): 399-404. Qin, W., et al., “Vitamin d favorably alters the cancer promoting prostaglandin cascade,” Anticancer Res. September 2013; 33(9): 3,861-6. Di Rosa, M., et al., “Vitamin D3 insufficiency and colorectal cancer,” Crit Rev Oncol Hematol. August 2013.